Jerome "JYD" Williams is considered one of the greatest role players to ever play in the NBA. In 2000, Jerome led the league in high rebounding percentages and was ranked 3rd overall in offensive rating. He also collected three NBA Community Awards throughout his nine year career. Jerome paid his own tuition to attend a local junior college that led him to acquire an A.A. degree in Business Administration. He also earned a Student Athlete Award and a full athletic scholarship to continue his education at Georgetown University. 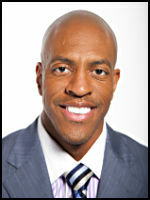 Jerome graduated from Georgetown in 96' on the Deans list and became the NBA's 2nd official Community Ambassador in 2006.